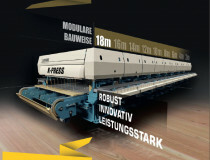 The dozen is already full: Ledinek delivered the CLT press X-Press No. 12 to Finland. Before that, however, CLT presses for Japan, Norway, France and the USA are on the program. In two projects, the Slovenes are providing Turn-Key solutions. 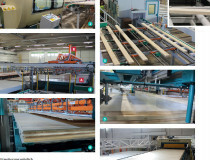 Investment in higher efficiency and productivity Founded 25 years ago, Sepa from Keitele / FI is spezialised in planning and manufacturing of roof-trusses. For the own production they decided to invest in a KVH production line of Ledinek, Hoce / SI. 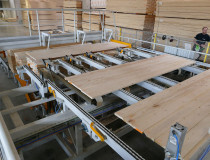 Finnish company invested in new plywood production to increase processing depth With the idea to produce BSP from Finnish wood, Jukka Peltokangas and Markku Herrala founded the company CLT Finland in Hoisko in 2015. 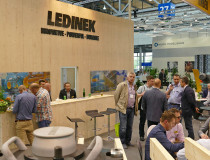 CLT technology from LEDINEK for Australia. 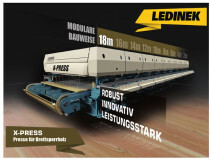 Ledinek is supplying a complete CLT production line to one of the biggest saw miller groups in Australia. 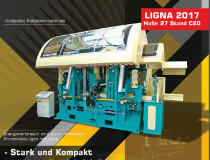 The new sorting line comprising the Stratoplan rough planing machine with active swimming, 8-layer storage, Microtec x-ray scanner, the stacking machine and Ledinek PC control system at KLH - Katsch an der Mur successfully passed performance test.